Shown with Pearl bookcase in Walnut finish - $ 1,150 | 51"W x 14"D x 67"H.
Also Pearl bookcase is available in White or Ebony lacquer finish. 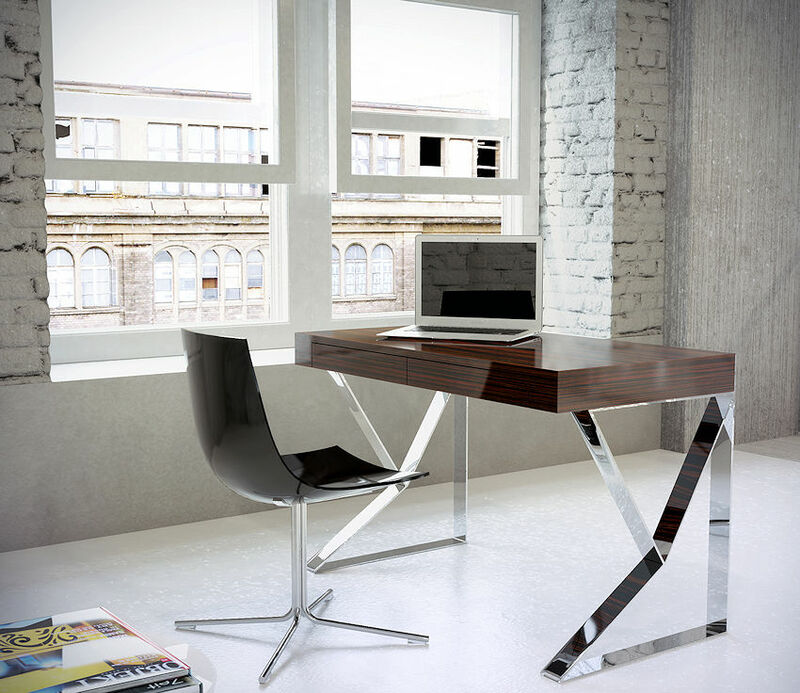 Great quality contemporary home office furniture. In stock. 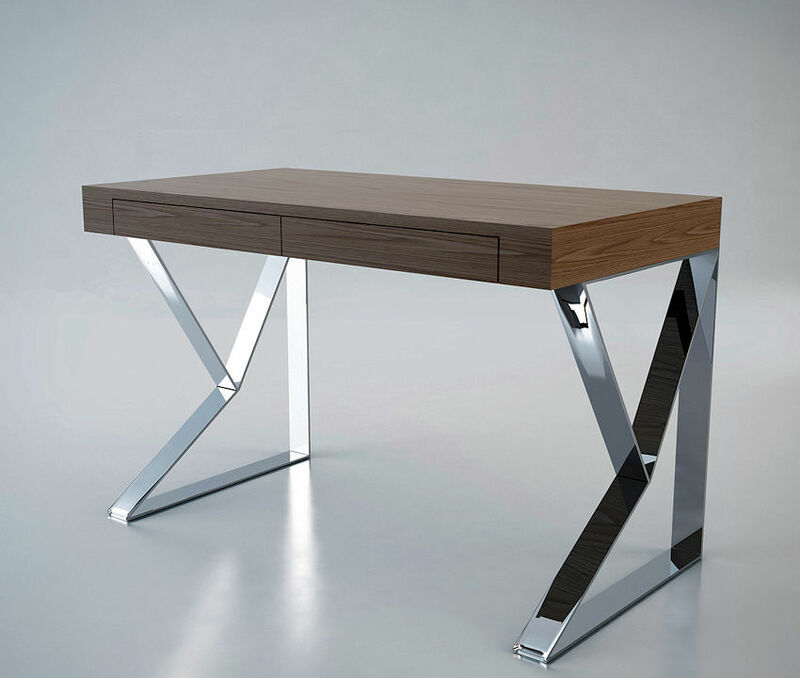 Geometric polished stainless steel legs are shaped to form a stable, stylish base. Smooth table top with two concealed full extension drawers complete the unit. Special order.